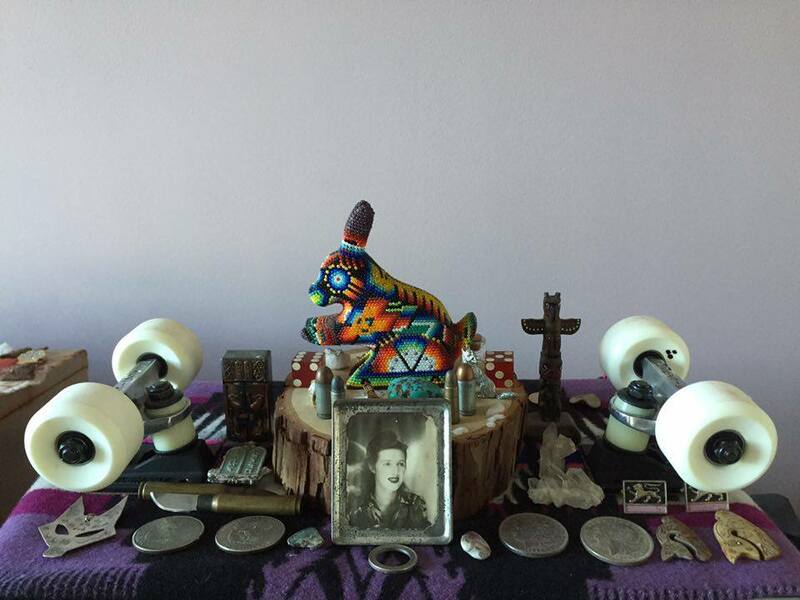 Michael Kershnar is a lifelong artist and skateboarder with a deep interest in the natural world and global spirituality. Among his impressive catalogue of commissioned works are illustrations for skate brands Toy Machine, Element, and Volcom, as well as rock luminaries Morrissey, The Beastie Boys, and The Grateful Dead. Kershnar shows his pieces around the globe. He has been featured in Thrasher, Juxtapoz, and Bliss magazines and European culture publications. Kershnar has assisted in the launch of art residencies in Paris, Vienna, and Copenhagen. He is an art teacher and co-founder of the nonprofit youth outreach organization Elemental Awareness. While in residence at the Growlery, Mike intends to create a body of work inspired by San Francisco, its denizens, and their beliefs.